These are designed to fit 1911s with a magwell. The bottom edge of the grip is flat to blend smoothly with the top edge of the magwell. You can also use them on a normal 1911, if you like the look, but the exposed bottom edge of the grip is prone to dents and chips. 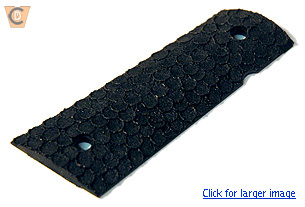 Grip panels are made of a glass filled nylon polymer which are safe to use with all gun cleaning solvents, and are more heat resistant than you will ever need. Colors shown are approximate; molding differences, our photography and your monitor will induce variations. 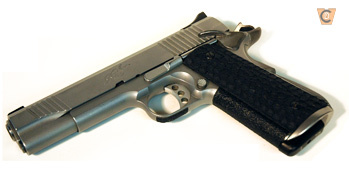 To install any VCD Grip for a 1911 pistol, simply unscrew the old grips, and use your existing, factory-length screws and bushings for the new VCD grips. 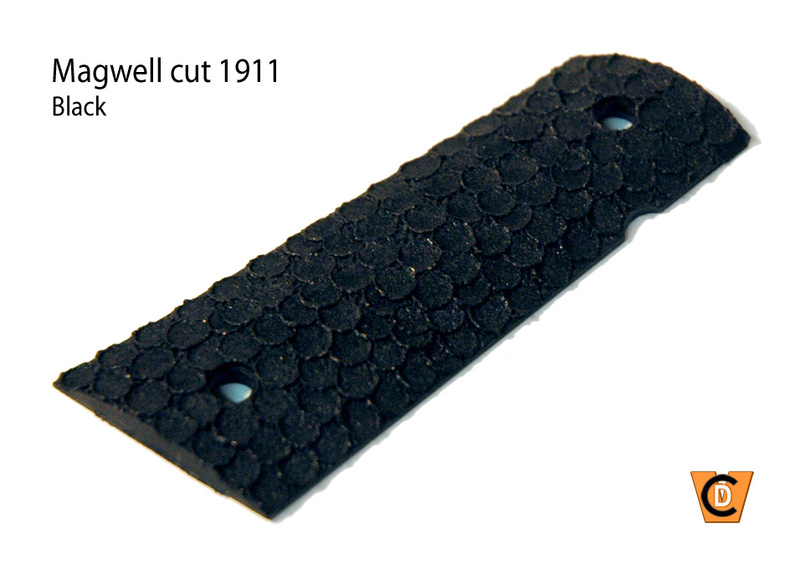 All magwell-cut grips are pre-molded for ambidextrous safety levers. For any stock items, please add them to the PayPal shopping cart with the buttons by each product. Contact us for custom orders, for any overseas shipping or to ask any other questions before ordering.